I made a late afternoon run to Montrose today, August 31, to see if anything fun and interesting was on the beach. I didn’t have anything as exciting as the recent Parasitic Jaeger or Buff-breasted Sandpiper, but I did find 3 adult American Golden-Plovers on the public portion of the beach. The birds were initially near the plastic boardwalk but flushed and relanded a short distance away. A fair number of people were using the beach this afternoon, so I had a feeling the birds would be jumpy. Sure enough, when an unleashed dog got too close they picked up and flew off to the north. Typical. And frustrating. I also had a juvenile Baird’s Sandpiper, Semipalmated Plovers and Sandpipers, and Sanderlings. The good news is that Lake Montrose has reformed and should be attractive to migrant shorebirds as long as it lasts (Lake Montrose is the fluddle that forms on the public beach after a heavy rain). 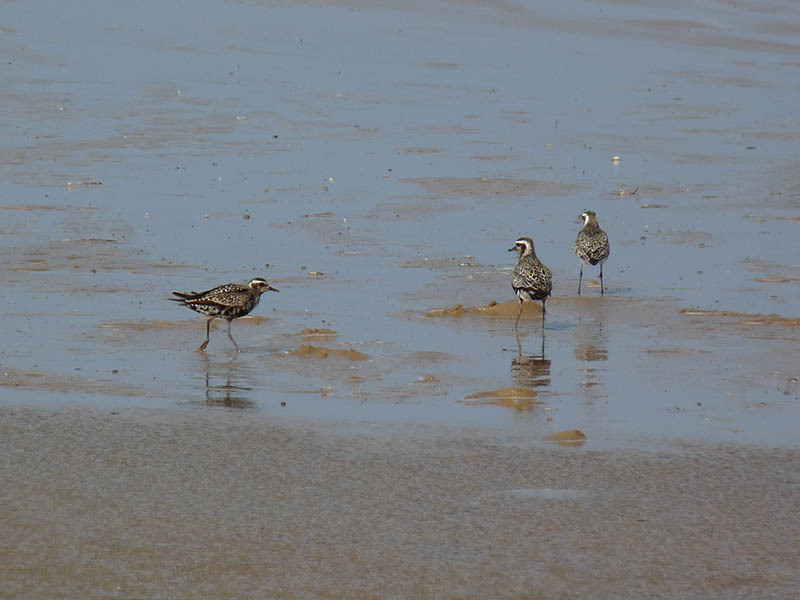 This is prime time for Red Knots and Whimbrels along Lake Michigan. This entry was posted in Summer Bird Reports and tagged American Golden-Plover, Shorebirds on August 31, 2017 by rhughes. 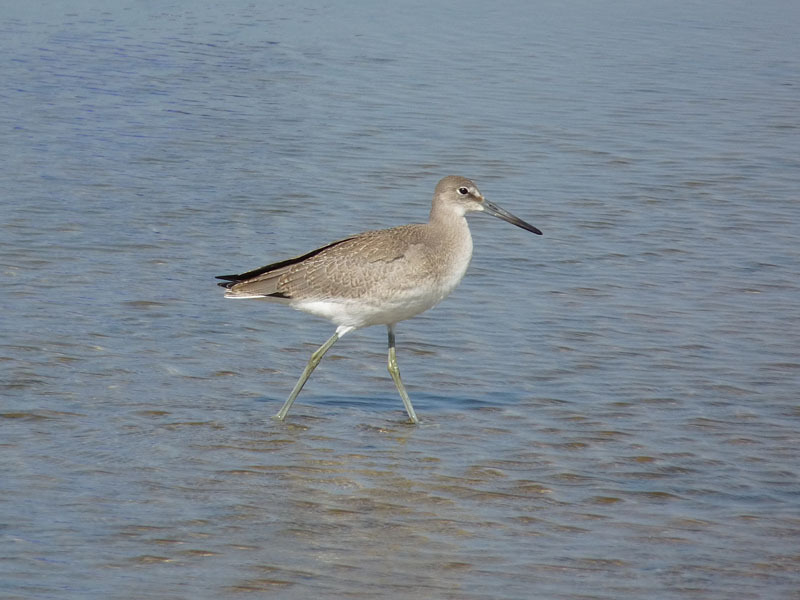 I went over to Montrose late this afternoon, August 14, to look for the Stilt Sandpipers seen earlier in the day. They must have flown off, but in their place I found 5 juvenile Willets in the fluddle at the west end of the beach. This fluddle has been very attractive to migrant shorebirds in the past. It’s disappearing fast and I imagine it will be completely gone in a few days without rain. I also had Semipalmated and Least Sandpipers and Semipalmated Plovers. Here’s to a good soaking rain in the next few days. This entry was posted in Summer Bird Reports and tagged Shorebirds, Willet on August 14, 2017 by rhughes.